What are the Different Types of Canine Allergies? Scratching is a symptom of skin allergies. Some dog foods can cause allergic reactions. Vacuuming dog beds may help reduce dander in a home. Canine allergies can vary with the individual dog, but the most commonly seen reactions involve the skin. Those allergic reactions involving the skin might include dermatitis or other problems caused by flea infestation. Other types of canine allergies include allergic reaction to certain foods and occasionally medications. Airborne irritants can also negatively affect dogs. These are classified as environmental allergic reactions, also known as atopy. When a dog is affected by canine skin allergies, an obvious sign is scratching. Skin peeling or flakiness may also occur. Occasionally, the pet owner might notice dry skin, a lesion or possibly patches of missing hair. This could be caused by excessive scratching due to intense itching from a skin-related allergy. When a dog constantly licks a particular area, this also can indicate some type of allergy. 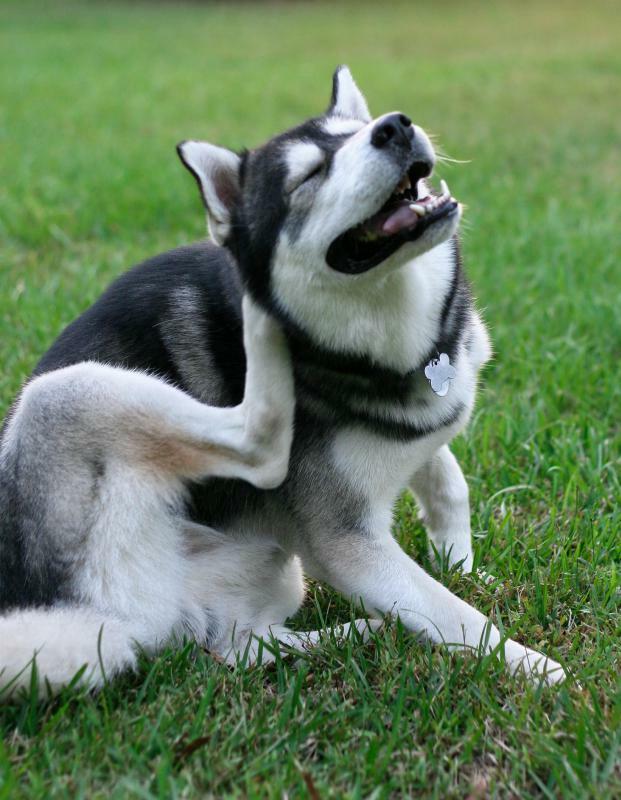 Often, skin canine allergies can affect a dog's ears as well. Dogs with long or floppy ears, such as the Cocker Spaniel breed, might be prone to having allergy problems affecting the ears. If left untreated, the scratching can lead to inflammation and possibly cause an infection. A dog that shakes its head constantly is another sign to watch out for. Medications that are applied topically are sometimes prescribed for skin allergies. Alternately, the veterinarian might prescribe a specially-formulated shampoo. Shampoo treatments are generally more practical, as some pets are likely to lick the area where a cream or solution has been applied. Antihistamines are sometimes prescribed, although this type of medication may have side effects. Some dogs might become overly sedated or develop digestive upsets from the use of antihistamines. Negative reactions to certain foods are common causes of canine allergies. Some foods that dogs might be sensitive to include beef, poultry and wheat. 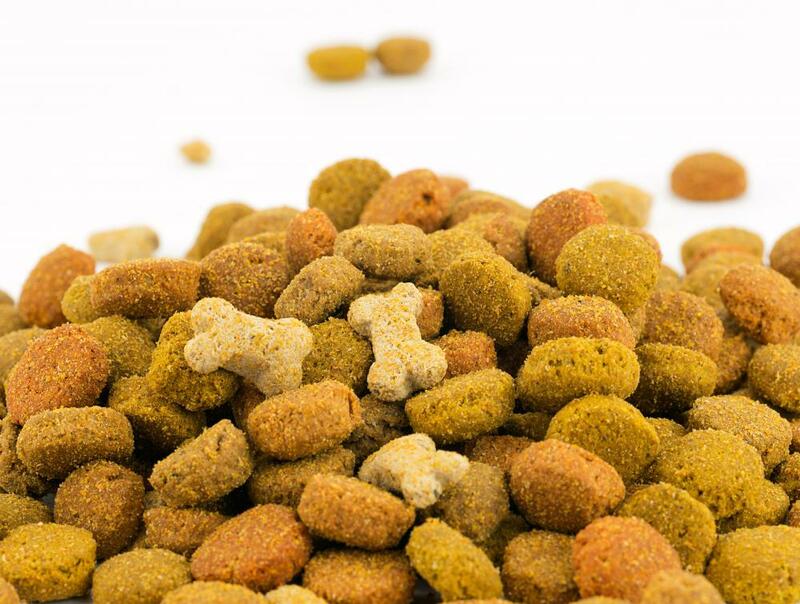 Many dogs that have food allergies show symptoms such as diarrhea or increase in daily bowel movements. There are specialized diets for dogs that are suffering from food allergies. It is typically recommended to avoid giving a dog foods that cause allergic reactions. Other known types of canine allergies involve reactions to inhaled substances such as pollen from trees or weeds. Atopy can cause seasonal allergies in some dogs, and most often symptoms begin to appear just after the first few years of a dog's life. Usually these symptoms can be treated successfully by a veterinarian. Tablets or allergy injections are most often prescribed. Common household dust or dust mites might trigger canine allergies. In such cases, it is typically recommended to keep the animal's living area as dust-free as possible. Frequent vacuuming, as well as regular cleaning of the dog's bed or sleeping area, can help to control the problem. How Do I Choose the Best Dog Food for Sensitive Skin?